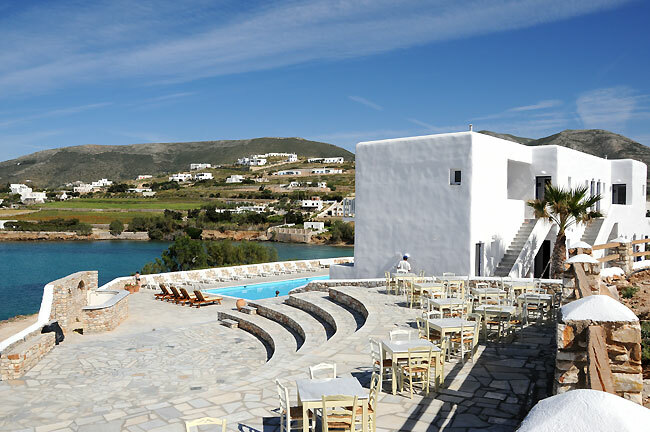 PAROS BAY is a hotel built according to the insular architecture, enchanting with the unique location it offers. 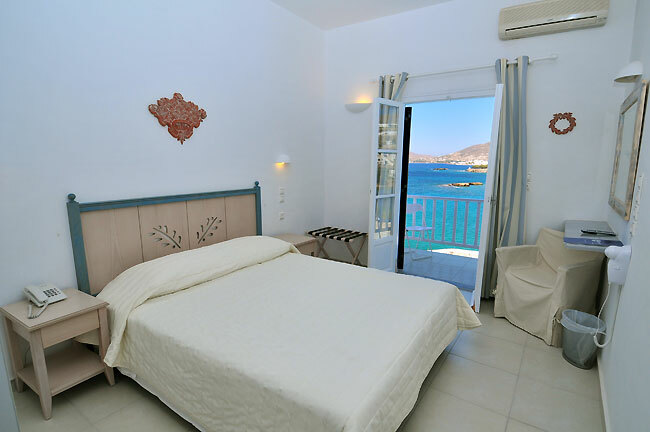 The hotel is just 2,5 km away from the town of Parikia, a distance which can be easily covered on foot or by a local bus service. 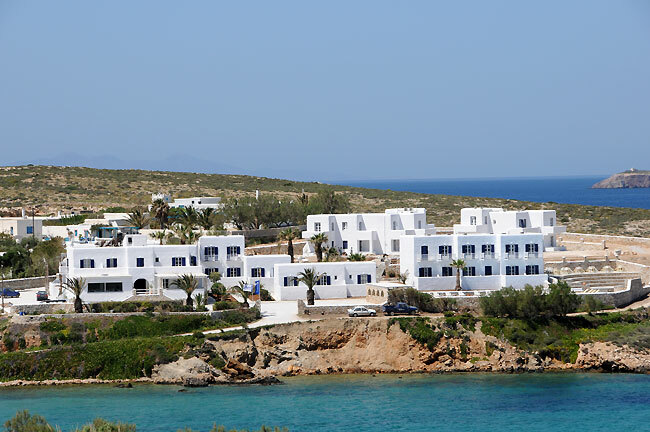 Away from the main road, it is surrounded by a few small houses and unspoiled countryside, quiet and right by the sea. 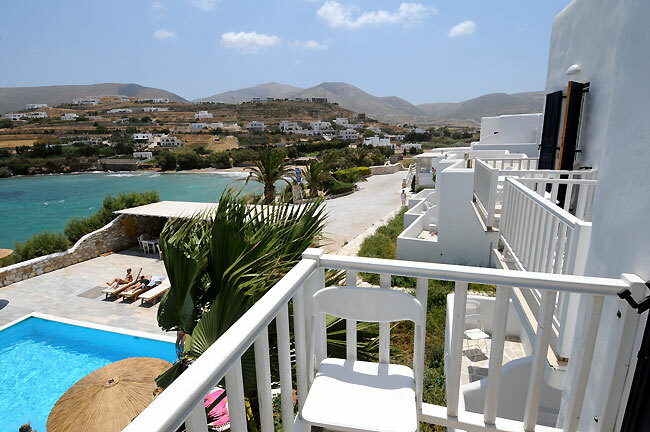 Paros bay hotel overlooks the picturesque bay, the town and the surrounding mountains with their scattered white houses. 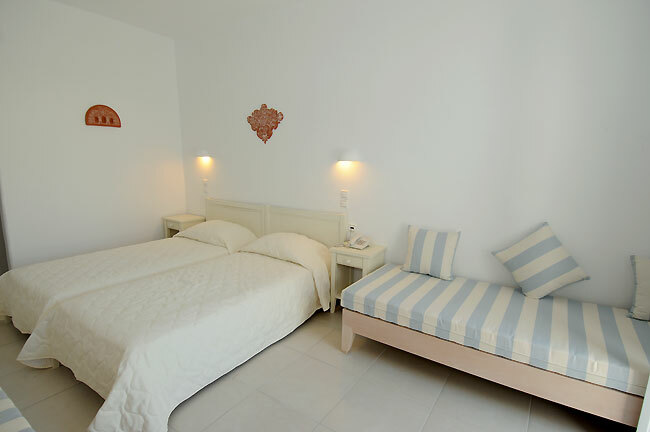 The rooms are equipped with their own shower and toilet as well as a balcony. 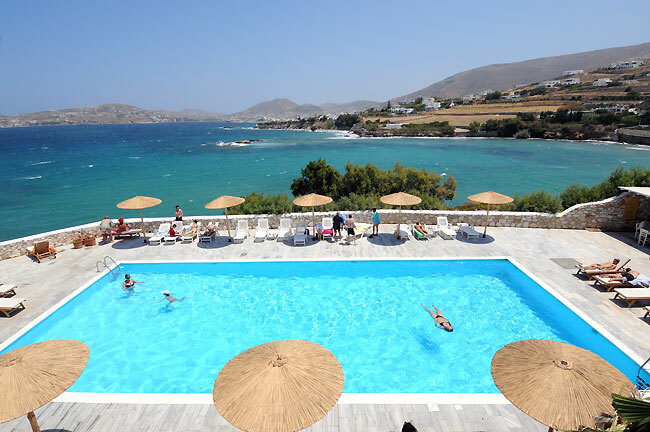 The sea water swimming pool is a welcome alternative to the sandy beach or the small rocky bays underneath the hotel. 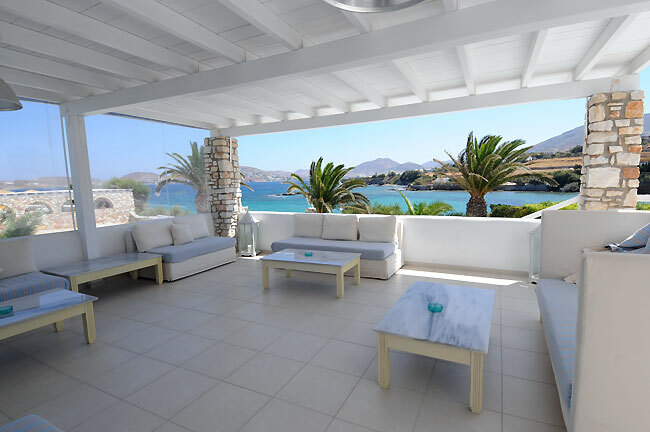 It offers panoramic view over the bay, while it is the ideal place for a drink if you decide to stay in the hotel. 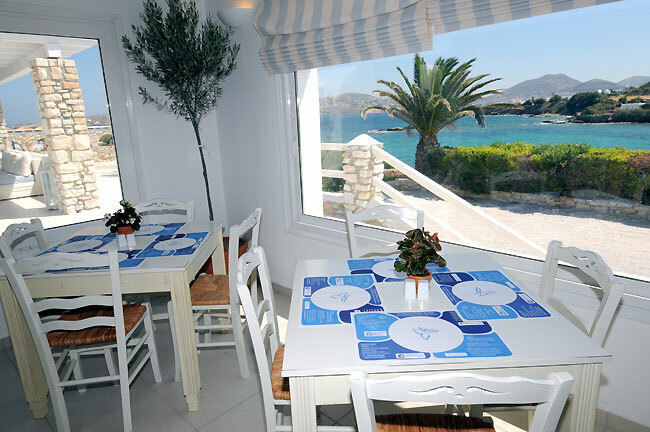 A breakfast buffet is provided to make a good start for the day, and a variety of light meals, ice cream and soft drinks are available throughout the day. For those favoring spirits the hotel bar is open all day and certainly in the evening.